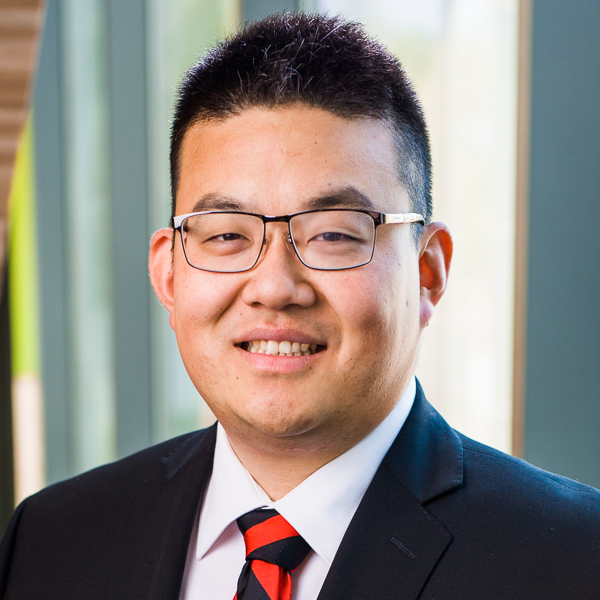 Jonah Chang’s teaching interests are in the area of chemistry; specifically in organic chemistry and biochemistry. He teaches a variety of courses to chemistry and biochemistry majors including General Chemistry I, Organic Chemistry I, Advanced Organic Chemistry and Laboratory, Biochemistry II, and Laboratory in Biochemistry. Recently, he has designed a project-based learning module in Advanced Organic Chemistry for students to develop an original proposal for a target molecule, which the students then attempt to carry out in Advanced Organic Chemistry Laboratory. He integrates his faith into his teaching most specifically when contrasting the intricate molecules and biochemical pathways found in nature against the state-of-the-art methods of the modern organic chemist. Chang's research interests focus on the chemical synthesis of biologically active and structurally complex secondary metabolites. The role of these molecules in the parent organism is often unknown, but they are interesting because they often inhibit targets associated with human diseases. In the process of executing a multi-step synthesis, new chemical methods are often discovered and can be elaborated into a synthetic methodology. Students in Chang's lab are trained in classical synthetic chemistry techniques including oxygen and water-free manipulations, flash chromatography for purification, and characterization of molecules using spectroscopy. Chang conducted post-doctoral research at the University of California, Irvine. "Nickel-Catalyzed Suzuki–Miyaura Cross-Coupling in a Green Alcohol Solvent for an Undergraduate Organic Chemistry Laboratory." , Chang, Jonah J., Garg, Neil K. and Hie, Liana, Journal of Chemical Education, 2014. "Total Synthesis of the Proposed Structure of Mycosporulone: Structural Revision and an Unexpected Retro-Aldol/Aldol Reaction, " Chang, Jonah J. and Jung, Michael E., Organic Letters 2012, 14, 4898–4901. "Enantiospecific Formal Total Synthesis of (+)-Fawcettimine," Chang, Jonah J. and Jung, Michael E., Organic Letters, 2010. "Oxidative Amidation of Phenols through the Use of Hypervalent Iodine Reagents: Development and Applications," Braun, Norbert A., Canesi, Sylvain, Chai, David, Chang, Jonah, Ciufolini, Marco A., and Ousmer, Malika, Synthesis, 2007. "Synthetic Studies Toward Spiroleucettadine," Chan, Bryan, Chang, Jonah J., and Ciufolini, Marco A., Tetrahedron Letters, 2006. 241st ACS National Meeting, Anaheim, CA. Presented on "Progress Towards the Total Synthesis of Mycosporulone." March 2011. ACS Division of Organic Chemistry Graduate Research Symposium, Boston, MA. Presented on "Enantiospecific Formal Total Synthesis of (+)-Fawcettimine." July 2010. XXI International Conference on Organometallic Chemistry, Vancouver, BC. Presented on "Tridentate Amido Carbene Ligands in Early Transition Metal Coordination Chemistry." July 2004.